The 2011 Folk Alliance Conference in Memphis will prove to be one of the most musically diverse weeks ever since Folk Alliance started and Tumbledown House who now split their schedule between Montana where they started and Arizona where they now call home will bring their Early Wild West Gothic tales of brothels, drinking, murder and gambling backed by a sound that at times is reminiscent of Devil Doll’s first album, Queen of Pain and other times Edie Brickell and The New Bohemians word play to Tennessee. Much of the time the stories are drawn from true life characters that inhabited the rough and tumble towns from South Dakota to Montana, in one piece an actual poem adaptation of “My Papa’s Waltz” written in 1942 by Theodore Roethke gives a picture from a child’s view of dealing with a drunkard Father. This is serious if not sometimes picturesque stuff that shows off a muse steeped in history and forgotten lives. 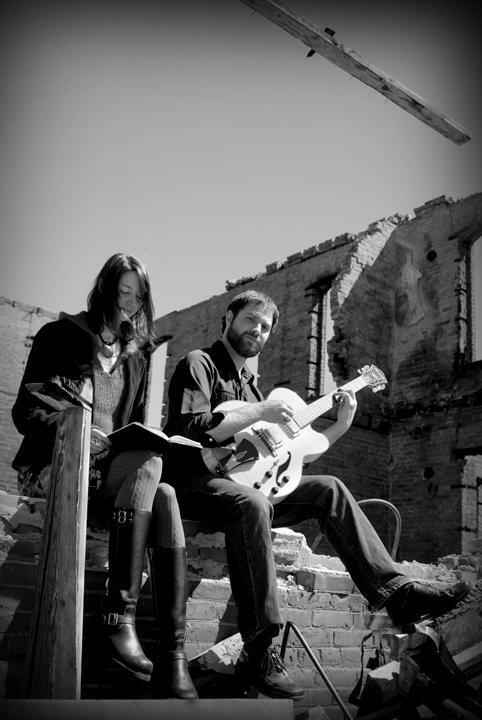 Gillian Howe, from Bozeman, Montana and Tyler Ryan Miller, who after leaving Arizona State University where he had completed a few semesters studying Jazz guitar, met working at a local brewery in Portland, Oregon where they were both drawn to the local music scene and started what became Tumbledown House. 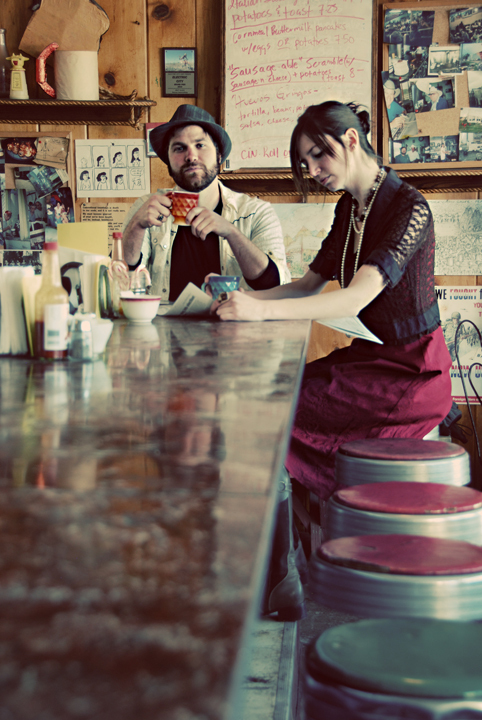 Although new technology was used to record the disc, “We sent the files to Massachusetts for Justin Kipp to do his drum tracks and the album was mastered in Brooklyn, New York by Paul Gold who did Grizzly Bear’s Yellow House which is one of my favorites”, the lyrics and feel for the most part bring out the 1800’s American Boomtown stories and their colorful lives. 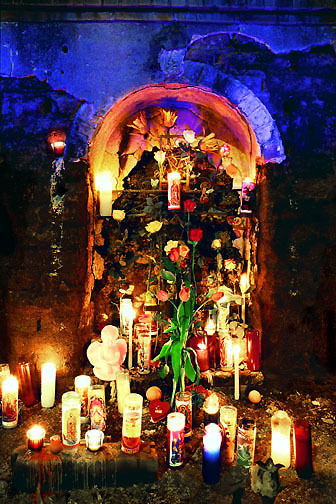 The next album is going to have more of a big band feel drawing musicians from the local Arizona scene as well as a new song drawn from a famous shrine in Tucson; El Tiradito Shrine also known as the “Sinners Shrine” it is now marked as a Tucson Historical Site. Although this will be their first official dates in Tennessee they did get the opportunity while passing through Nashville to play at The Bluebird Café open mic night. Two of the songs on the album, “Sweaty Tennessee” and “Brothers McGhee” both tell tales about Tennessee people. 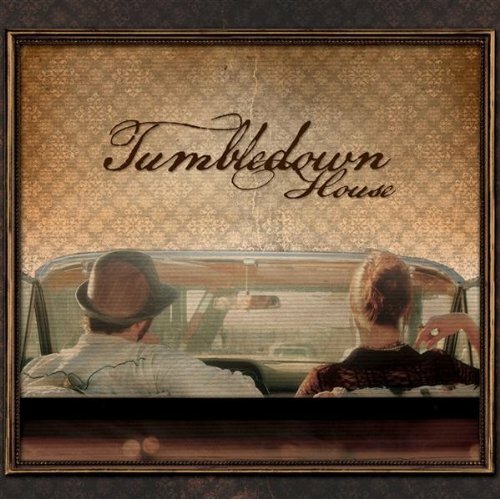 Tumbledown House’s official showcase will be Friday at 6:30 in the Knoxville Room of the Memphis Downtown Marriott, but if you are not able to make it, they will also be playing several times between Wednesday February 16th and Saturday the 19th.